Are you having trouble in installing Snapchat on iPad? Maybe you ask “why can’t I download Snapchat on my iPad?” Let’s find out how to get and install Snapchat on iPad. Of course you can get and download Snapchat on an iPad. Basically Snapchat app is available for iOS devices like iPhone, iPad and iPod touch. In addition, according to the Snapchat page on the App Store, the Snapchat app requires iOS 10.0 or later to run properly. So if there is no problem with your iPad and you are running on the latest iOS, you should be able to get and install Snapchat on an iPad easily. However, sometimes there are some iPad users who are not so lucky and find a problem when they install Snapchat app on an iPad. 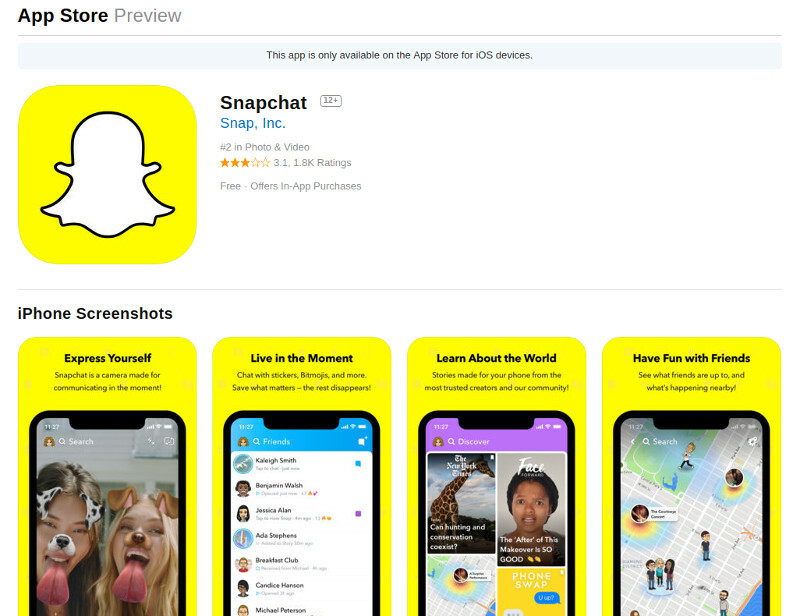 Some can’t find Snapchat app on the App Store, or the app is stuck “installing …” without ever being finished. The following are ways to overcome them. First, make sure that you have used iOS 11 or the latest one. If you can not find Snapchat in the App Store, go to the upper left corner of the App Store application and touch “Filters”, a drop-down menu will appear. The drop-down menu allows you to choose “Support”. Touch “Support,” then touch “iPhone only.” Now you can search and download Snapchat app on your iPad. You can restore from iTunes using your computer. You do not have to restore to Factory settings. You can restore from last backup stored in the iCloud. So that is how to get and install Snapchat app on an iPad and how to fix it if you can’t download it on your iPad. We hope that it’s works for your iPad.